A Christian Education: A Gift That Will Last Forever! Concordia means “harmony” in Latin. We are a Lutheran school that intentionally reaches out to brothers and sisters in Christ. We are privileged to be a witness for Christ to all children and families. We are classical! Using the best time tested teaching techniques, we strive to develop well rounded students who are ready to serve God and the world. These techniques are based on the “Trivium,” which consists of three parts: Grammar, Logic, and Rhetoric. 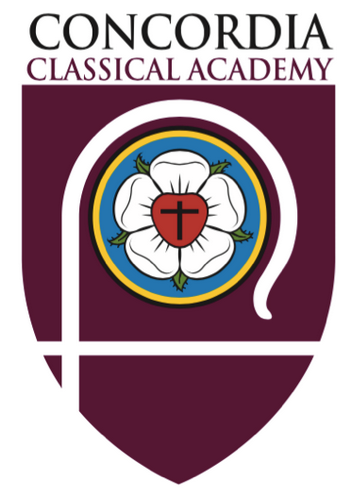 The word academy reflects our high academic expectations. We want our students to thrive and be prepared for life in the world and the next, by developing all of their God-given talents. Achieve More - Go Further - Read! "I love knowing my children's teachers know them well because the class sizes are small. The 15 student per room capacity is reassuring." "We are so happy for our three children. Faith is taught throughout each subject matter and in regular daily life. The teachers are veterans who devote themselves to educating our children and helping form their character." "Our children excel academically and learn God's Word to apply to their life every day."